Explore this complete guide to the cultural events and festivals going on in Kauai. Carol Yotsuda of The Garden Island Arts Council puts out information on events they sponsor, some of which you may enjoy during your visit. 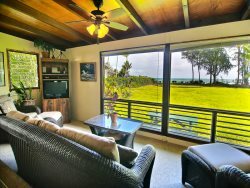 Serving the island of Kauai since 1994, Ready Rentals is your go-to source for renting cribs, wheelchairs, stroller, baby gear, beach gear, beds and more. Renting wheelchairs, power scooters, bathroom safety, and other equipment to assist seniors. Convenient pick-up and delivery options. If you are interested in finding out about real estate while you are here, you are welcome to call me, Suzanne Kobayashi at 808 828-1918. Insured, background checked and CPR certified caregivers from Kauai`s professional child sitting service. Get in touch with experienced and reliable caregivers and have the grown-up time you deserve. The best kids club in Kauai! Educational activities, swimming, tutoring, and meals are all available. Enjoy some adult time while your kids get to explore the island under the careful eye of professional childcare providers.